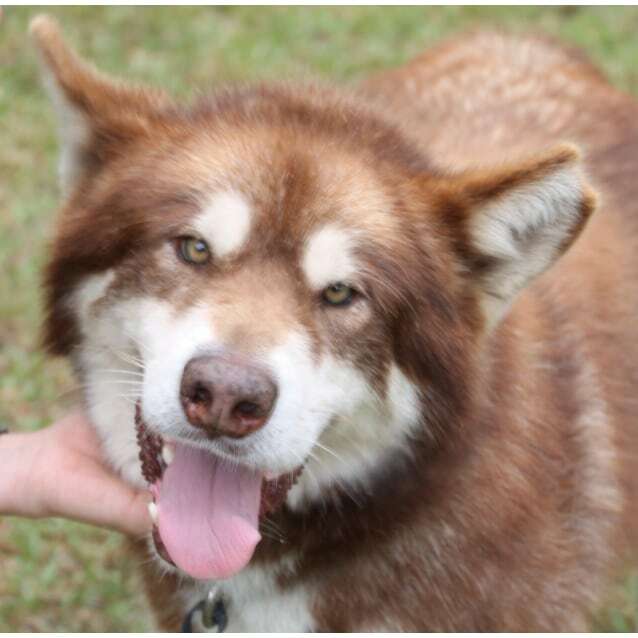 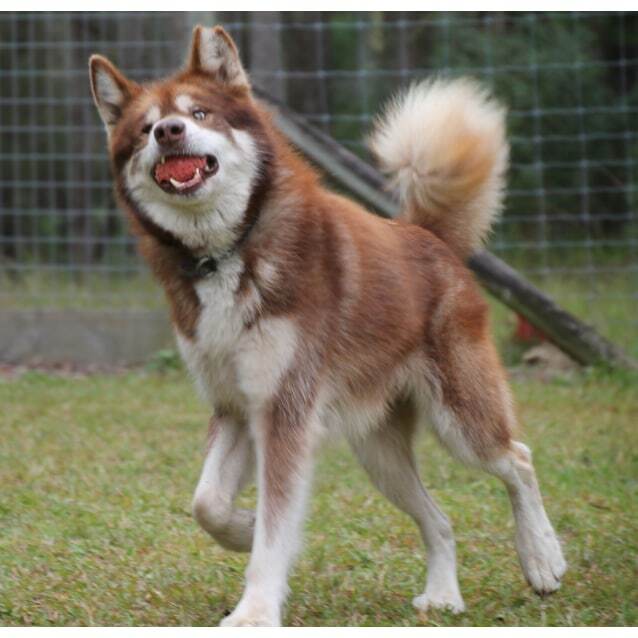 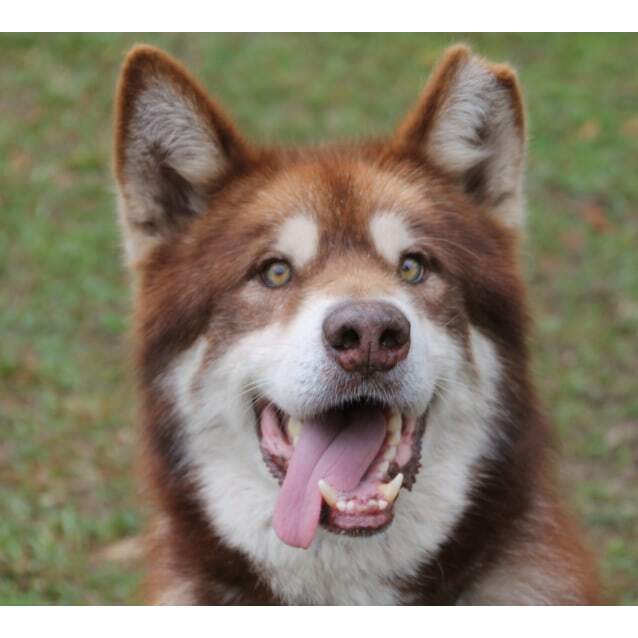 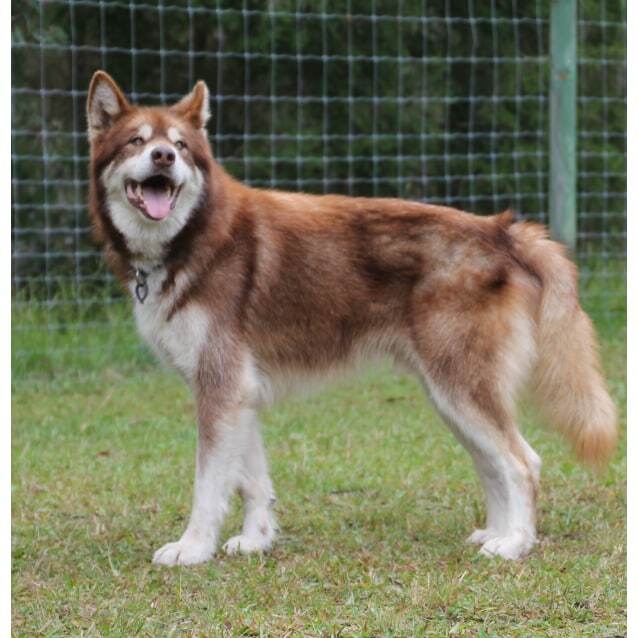 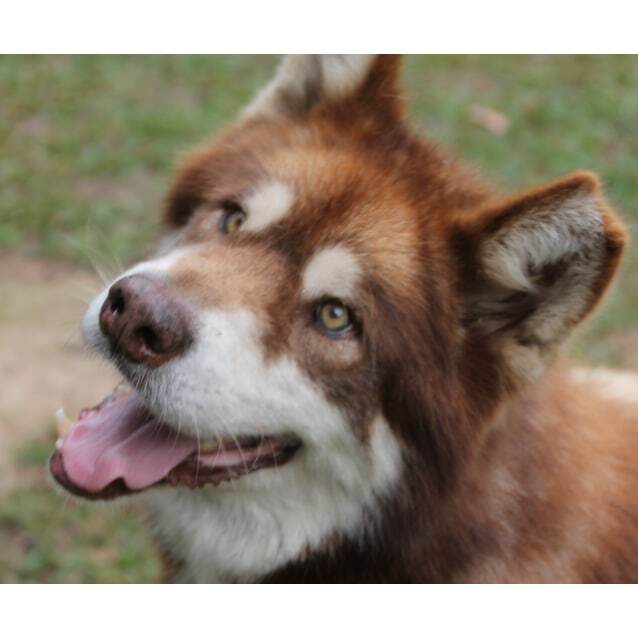 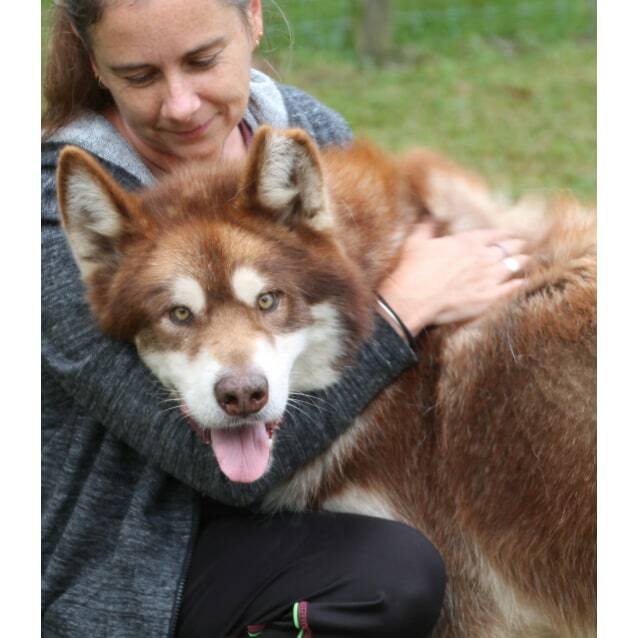 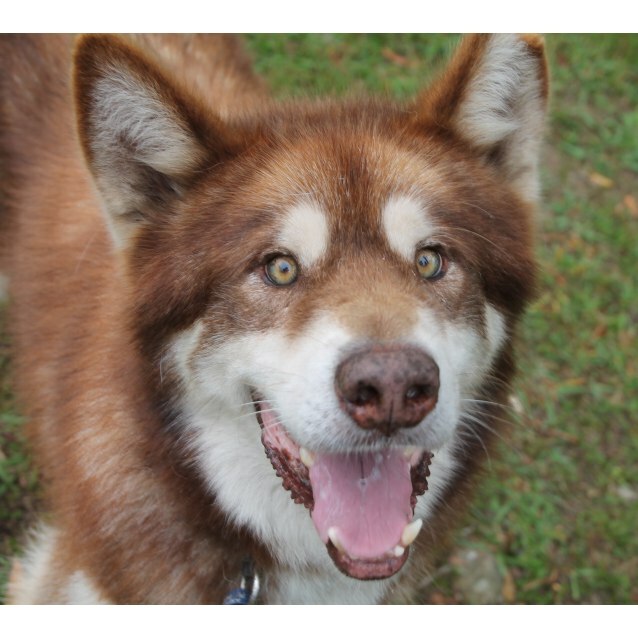 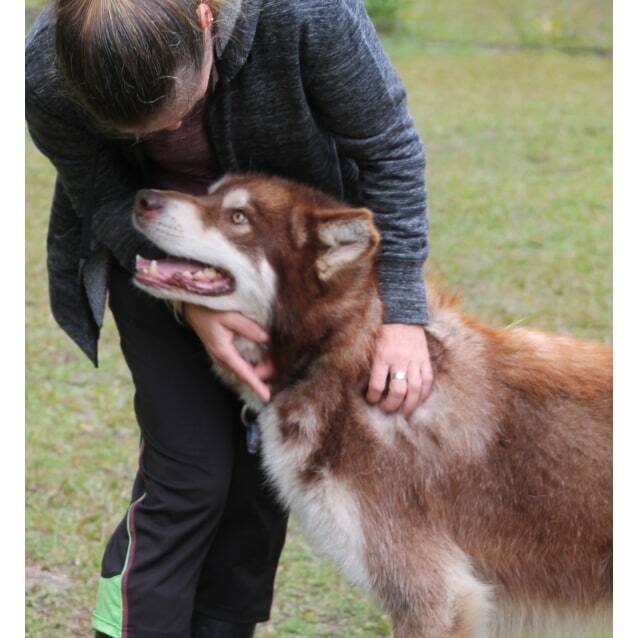 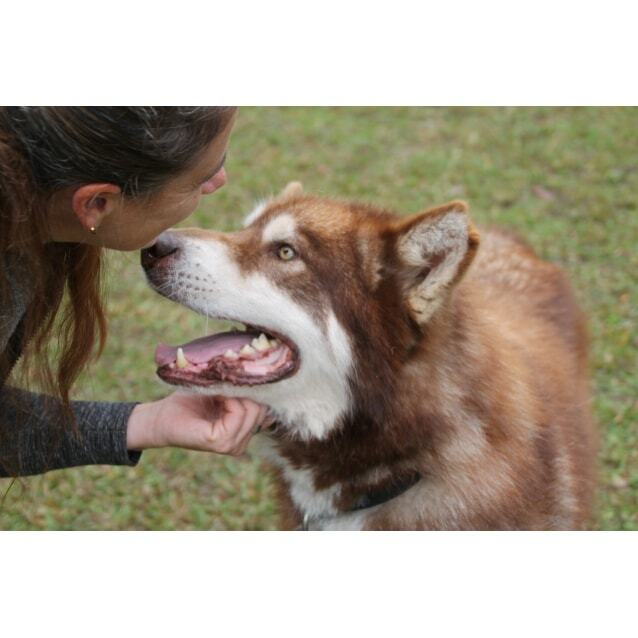 Ranger is a friendly 7 year old Malamute who has an soft red coat and a stunning personality to match. 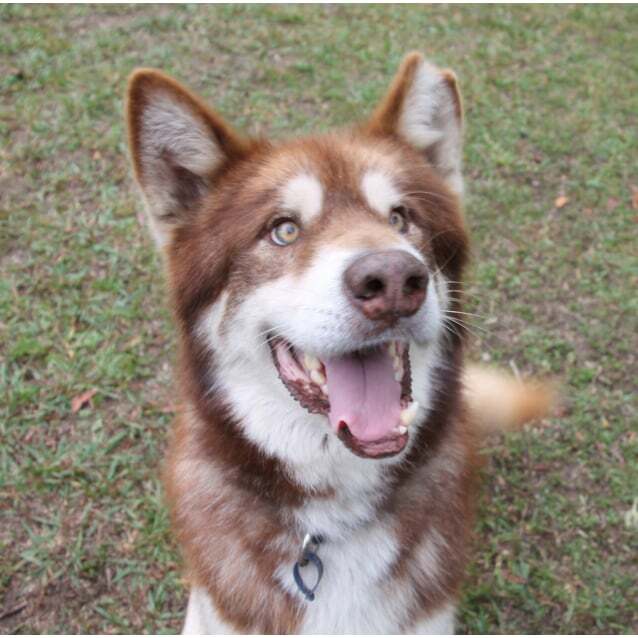 Ranger has gorgeous green eyes and a goofy-grin that's irresistible - who can resist this eye-catching red head? 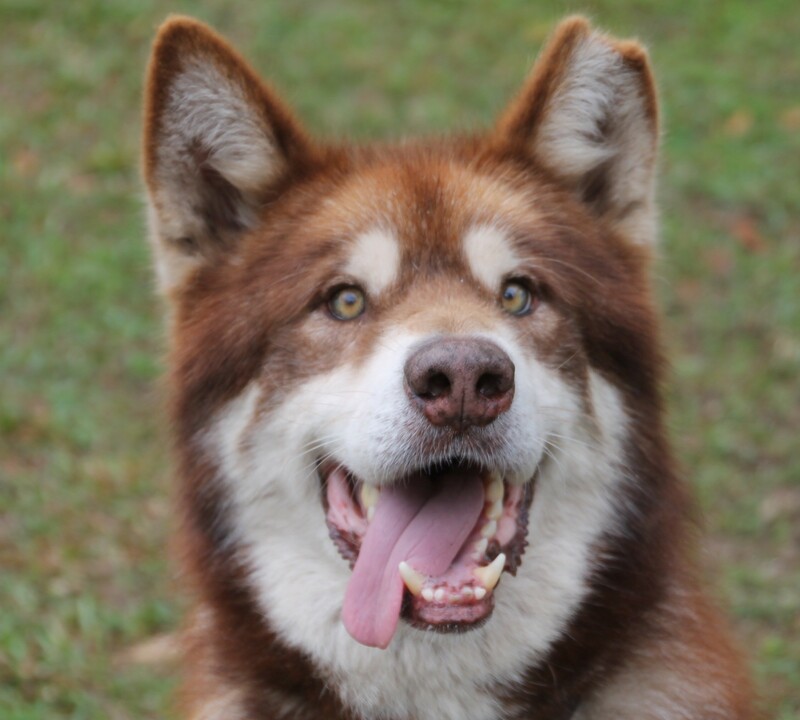 Ranger is a very easy-going boy who loves people and gets along well with most other dogs he meets. 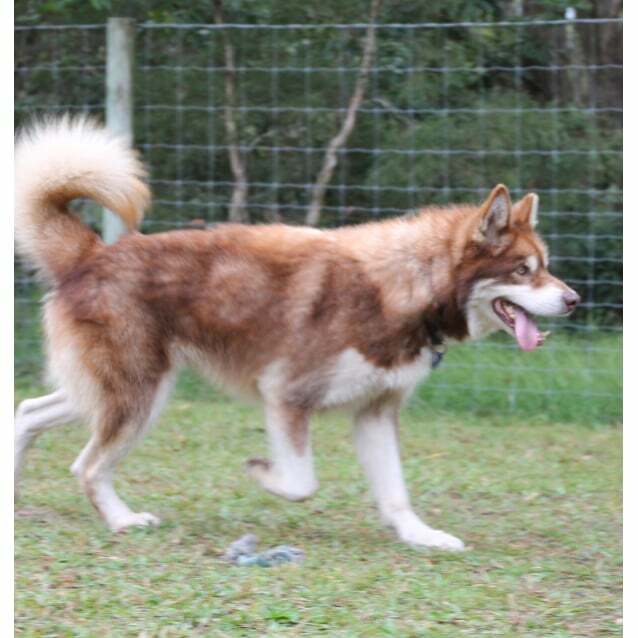 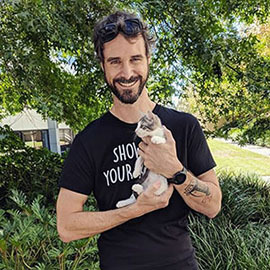 He would do well in a home with a female doggy companion or as an only dog as long as he is involved in his new family's daily activities. 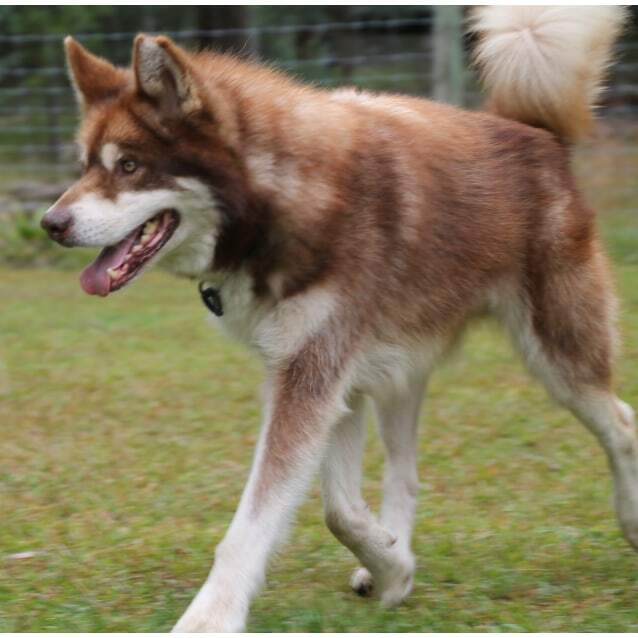 Like most malamutes, Ranger is best suited to a home without cats or pocket pets. 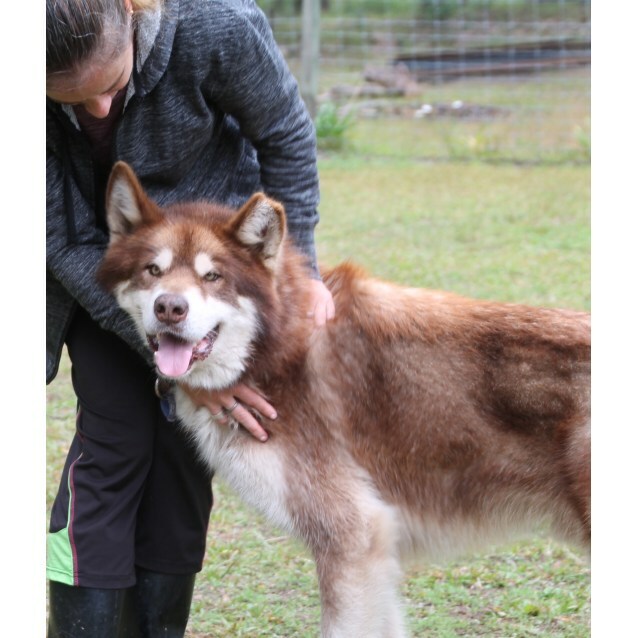 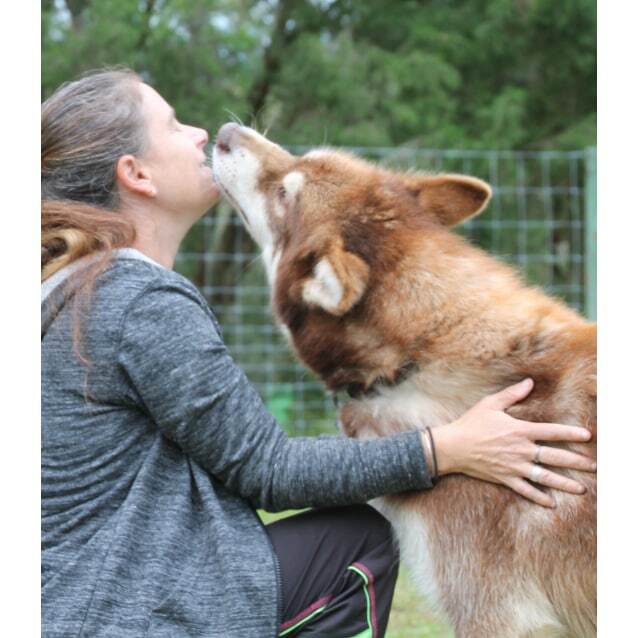 Ranger is very affectionate and enjoys cuddles with his family - he considers himself a big, fluffy lapdog. 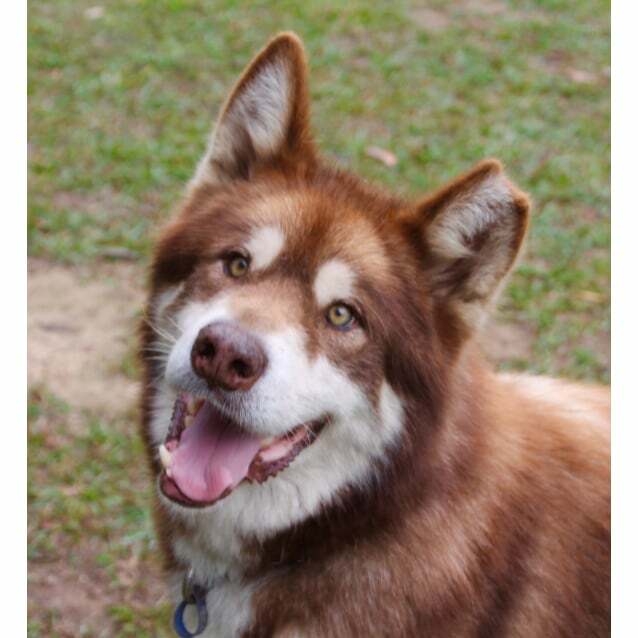 He likes treats and responds well to positive training techniques - he also likes to talk to you to remind you that he's being a good boy! 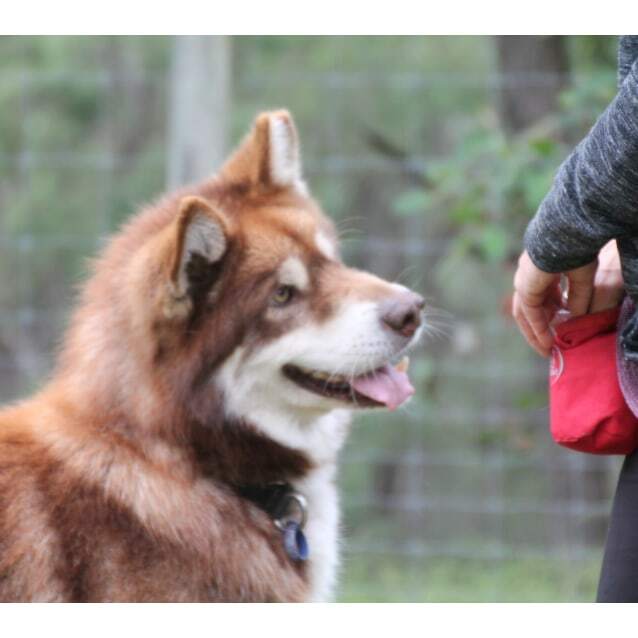 He is very gentle when taking treats and he walks nicely on lead with you. 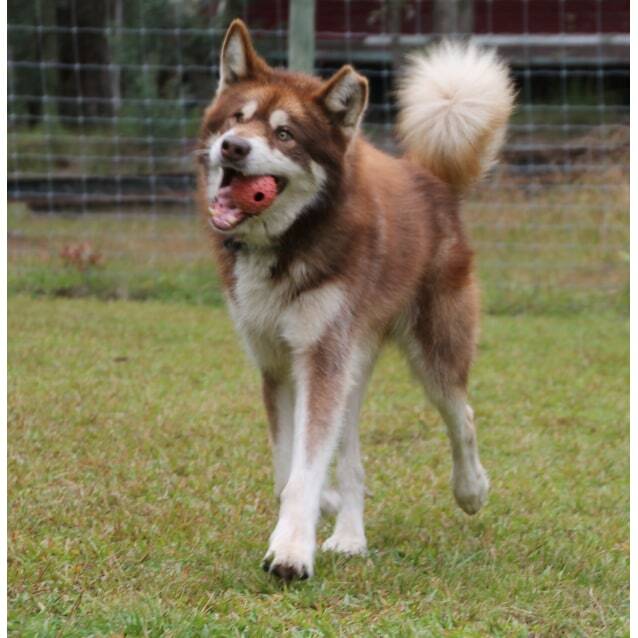 He loves balls with bells in them and will trot around the yard playing with them like a puppy. 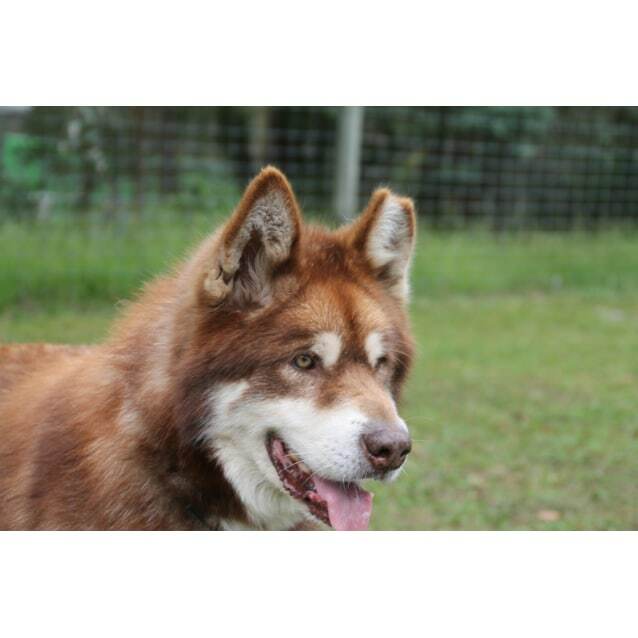 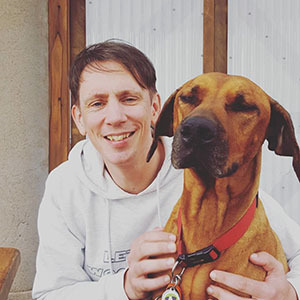 Ranger is a joy to spend time with so if you are interested in adopting a gentle and stunning boy then look no further than this friendly red-head.